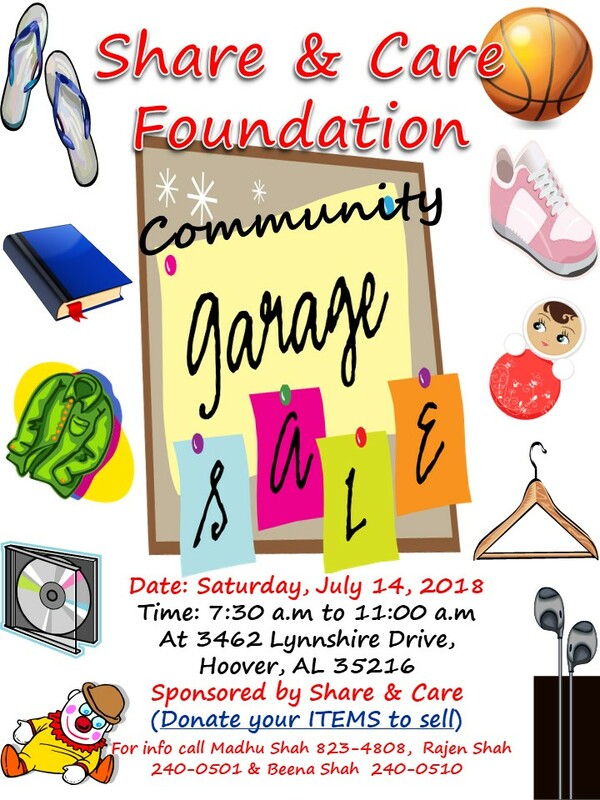 Share & Care Garage Sale on Saturday, July 14, 2018. Please donate your items to sell. Previous 143. Wonderful ! Thanks for your Donation !! Next 144. Wonderful ! Mentally Challenged Children Support ! !